There are a few ways to measure productivity. Is your patient schedule filled? Are specific staff members being highlighted in online reviews, social media, and patient surveys? Your optical capture rate and inventory turn rate can be another method of measuring your staff. If you're looking to improve your staff productivity, the first step is evaluating your existing staff management policies, style, and support system. 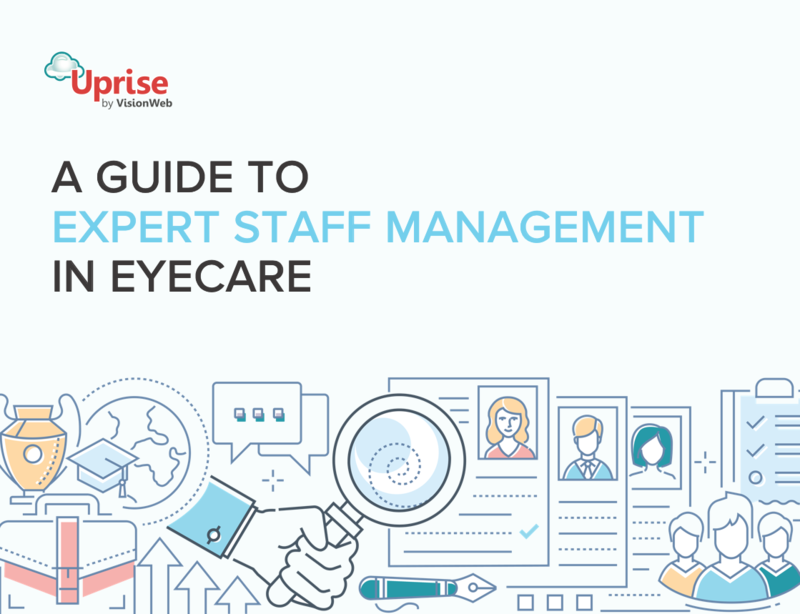 That's where we step in with our new, free ebook, "Expert Staff Management in Eyecare". We'll deliver insider tips, goal-tracking sheets, interview questions, and more so you can retain your best staff members and boost productivity. Is Your Optometry Staff Productive? How do you create a strong practice culture and give your staff the tools they need to succeed? We believe setting up a comprehensive on-boarding and training program, tracking monthly and annual goals, and proactively managing interpersonal conflicts can make you an expert people manager. Our new ebook, Expert Staff Management in Eyecare, helps you manage your staff through change and conflict.